(Newtown, PA – February 22, 2012) CenTrak, a leading provider of Real-Time Location Systems for healthcare, announced that it has joined the Cisco Developer Network as a Registered Developer within the Wireless/Mobility technology category. In addition, CenTrak’s Gen2IR™ solution has successfully completed interoperability testing with Cisco’s Mobility Services Engine (MSE). 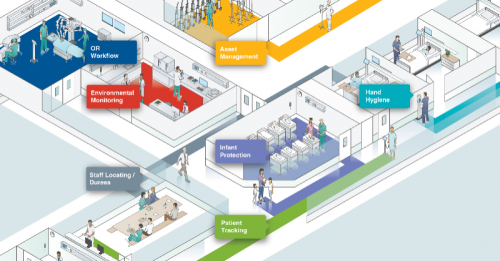 “We are thrilled to be in position to offer a smarter, future-proof RTLS. Our partners’ valuable and often ground breaking RTLS-based solutions can now be easily extended. We feel privileged to be part of our partners’ solutions and to provide hospitals with a world-class platform in terms of scalability, accuracy and performance”, said Dr. Ari Naim, President and CEO of CenTrak.Stop by CenTrak’s Booth #3272 at HIMSS2012 in Las Vegas to learn more about the solution.